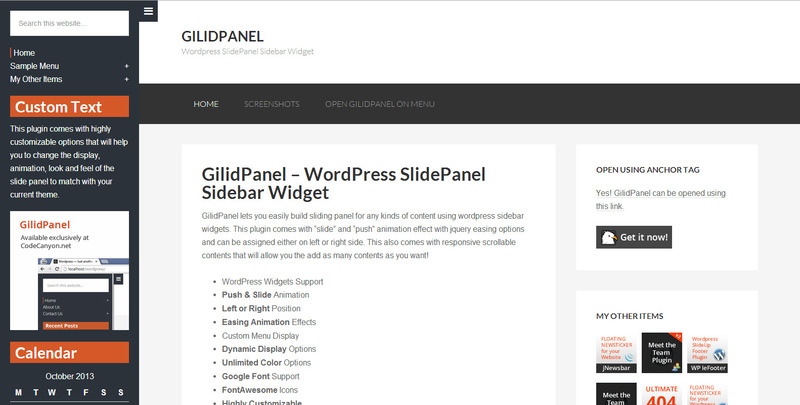 GilidPanel lets you easily build WordPress sliding panel for any kinds of content using sidebar widgets. 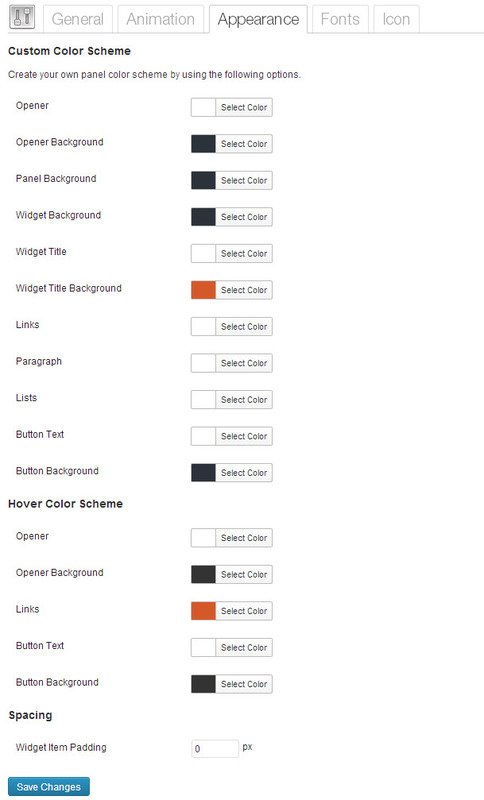 Comes with slide and push animation effect powered by jQuery easing and can be assigned on either left or right side of your website. 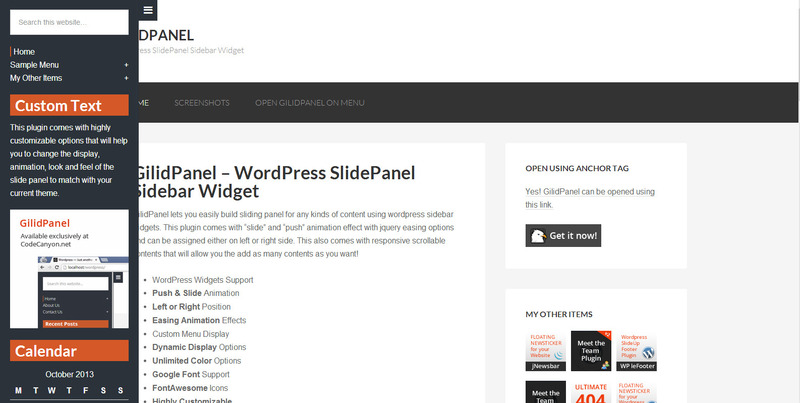 This WordPress sliding sidebar plugin provides responsive scrollable contents which allows you the add as many widget contents as you want without worrying about the layout. 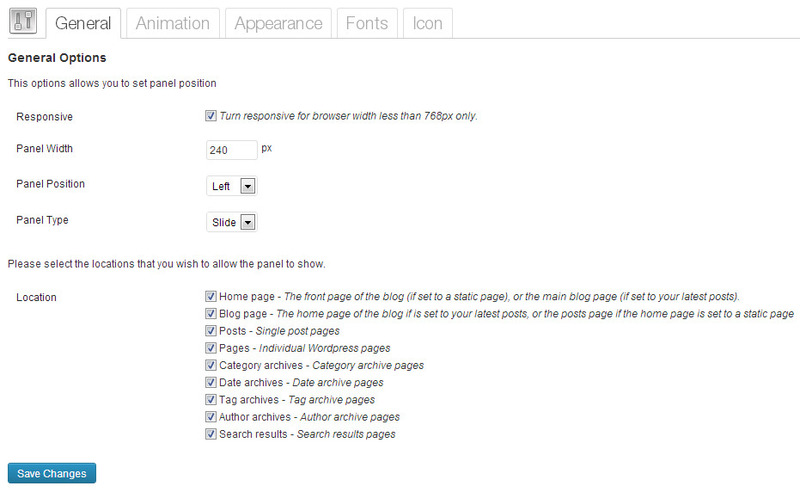 Not using wordpress? 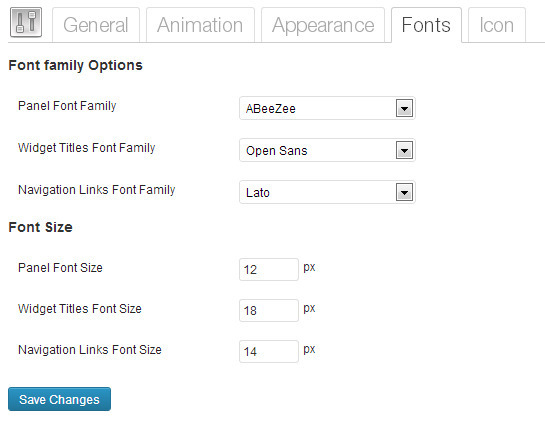 Drupal Version also available! 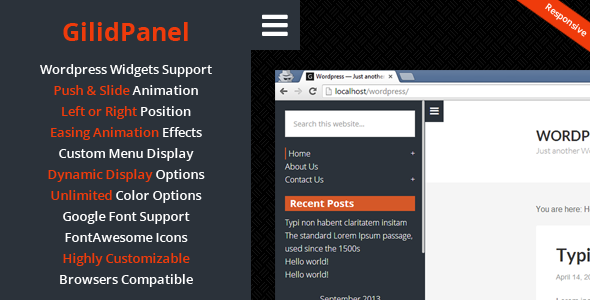 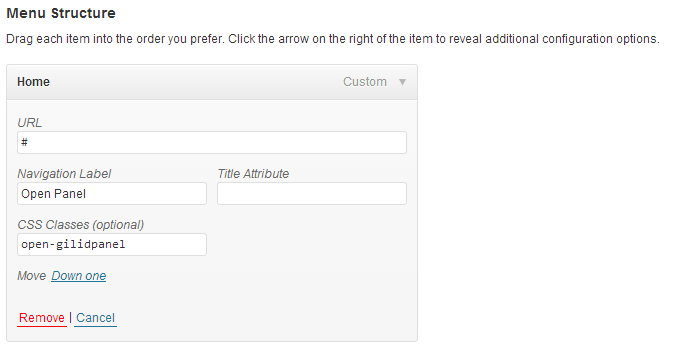 This plugin uses the following jquery plugins and fonts.